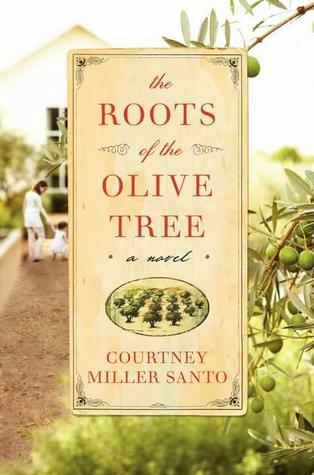 I've been working on the periphery of the Mormon Lit world for long enough that when I heard that Courtney Miller Santo was having a novel published by William Morrow, my arms got all flappy and I did a little happy dance. Yay! Courtney Miller Santo! She who has been published in the journal where I work as an editor! Whose name is on the contributor page of the current issue of Irreantum right near mine! Maybe we are getting our Mormon moment in writing too! So yeah, I was a little excited. And being excited often sets a reader up for disappointment, but Santo (Miller Santo? Courtney? I feel like she's a friend-- I want to call her Courtney) doesn't disappoint in her tale of the five generations of the Keller family. My great-grandma died when she was 95, just a month before my son was born. If she had held out one more month, I was going to make a pilgrimage to Pittsburgh to get the picture of all five generations. But the Keller women have serious longevity. When the book opens Anna, the oldest Keller, is 112 and she looks like she's about 70. She bends and stoops and walks and picks olives in her grove to make a special lunch for the doctor who is coming to talk with members of her family about their secrets to a long life. The story spans eleven years and we hear the voices of every generation, down to the sixth. Santo's prose is beautiful and evocative-- I felt like I could have imagined Anna among the olive groves even if I hadn't been to Northern California a few months ago. The stories tie together well, but not too neatly. I always battle within myself because as a reader I want to know exactly what happened and why, and Santo doesn't always tell us that, but I feel that she's holding back on some details so the readers have a chance to pick at them and either work them out for ourselves or become comfortable with not knowing. I also felt like the book was incredibly readable-- I read it in just a few days of intense bursts. Definitely call me Courtney and thank you for the kind words!! I feel like military is finally reaching critical mass your work, too is do lovely.